The danger of crafting a complicated heist flick is the risk that your audience won’t quite understand what’s going on. That’s the case in writer-director Stacy Cochran’s “Write When You Get Work,” a romantic comedy with a criminal bent that undertells its story and therefore oversells how smart it really is. 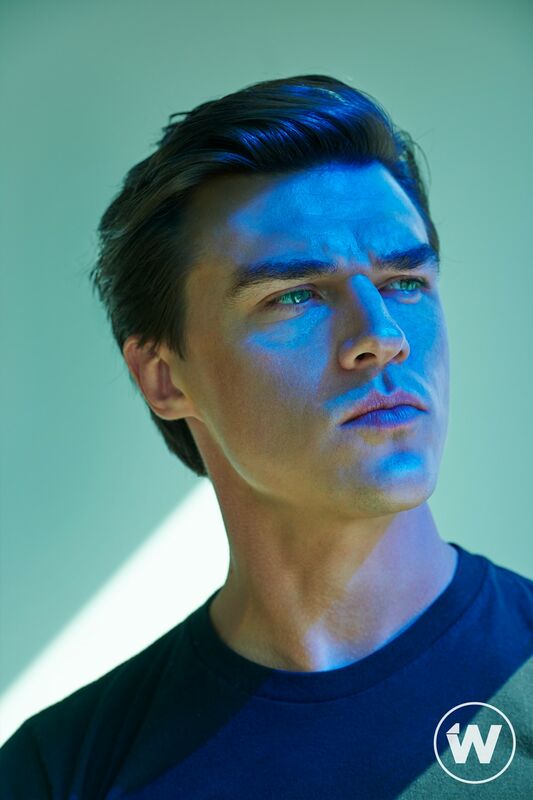 The film begins with an up-close-and-personal shot of teenagers rolling around in the sand, though these teens look like adults: It’s Jonny (34-year-old Finn Wittrock, “The Assassination of Gianni Versace”) and Ruth (almost 26-year-old Rachel Keller, “Legion”). Their tryst results in a child, whom we find out, when the film jumps ahead nine years, that they gave up. Their forfeited offspring doesn’t add anything to the story, other than perhaps suggesting a bond stronger than most high school sweethearts have; when Jonny spots Ruth at a wake those nine years later, he breaks into her apartment later that day. It turns out that they’re both comfortable with such illegal pastimes, even though Ruth now works at an elite girls’ school as an admissions director. Jonny doesn’t say what he wants from Ruth, but he keeps showing up either at her apartment (two break-ins — including once crawling into her bed — are two times she doesn’t even flinch) or at the school. You feel Ruth’s annoyance, though it’s not because Keller is an especially good actor; it’s more that Wittrock is an irritatingly smarmy one. A subplot involves Emily Mortimer as Nan, a twitchy, perpetually panic-stricken mother of two whose husband has also been involved in illegal activities of some sort and is waiting for the hammer to fall. Nan doesn’t seem as concerned about a prison sentence as she is about losing their lifestyle, which involves sending her girls to Ruth’s school. Because this is a script of convenience, Jonny gets to know Nan when they end up on a school tour that Ruth is part of. (Well, technically he finds out who she is via his friend, who’s a doorman at her building.) He wants her money. That isn’t the only shortcut Cochran (“My New Gun”) takes in “Write When You Get Work.” Minor characters are mostly there for exposition or facile social commentary. The director seems to want to make a statement about race: There are two interracial couples, though they come across merely as boxes to tick, and someone on the school board comments that all the girls featured in its brochure are white, though the wrongheaded implication is not that the school needs to be more diverse, but that Ruth and her colleagues should have done a better job of including students of color in the marketing process. If Cochran intended a deeper message, she failed. The big caper itself has a couple of “Ocean’s Eleven”-esque layers that, unlike that movie, come across as unnecessarily complicated rather than confusing but seemingly smart (in particular one ruse that whose rationale is a mystery). A plot twist, too, comes across as having been undoable, but we’re supposed to swallow it in service of the more important development: It’s not much of a spoiler to say that these crazy kids get together again. The problem with that is that Wittrock and Keller don’t have any chemistry, and neither gives an involved enough performance to sell that Jonny and Ruth’s convenient encounters are enough to re-stoke the flames. When he tells her, “You’re what I want,” he delivers this statement of desire with all the excitement of a table read. With zero romance and nonsensical thrills, the only legitimate theft here is of the viewer’s time.